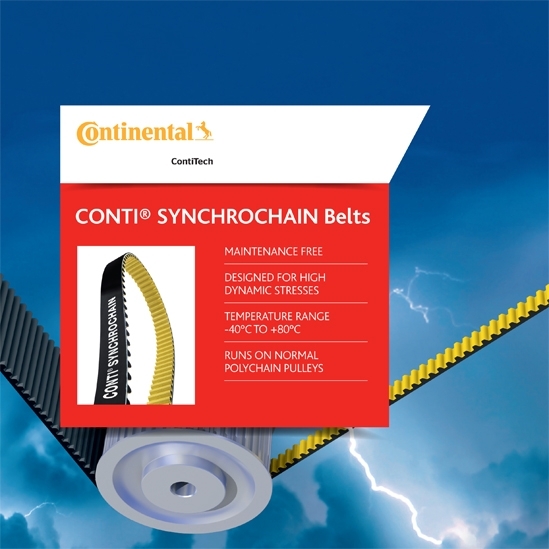 CONTI® SYNCHROCHAIN combines high tear resistance with exceptional tensile strength, making it one of the world’s best performers among today’s timing belts. This high-performance timing belt, with its newly developed CTD profile, makes extreme applications possible. Cause of its original design and selected materials ensures reliable power transmission for high torques and high dynamic stressing. As the first belt of this high-performance class it permits reverse flexing in multi-pulley drives and is therefore the ideal alternative to chain drives approximately half the strength of the parent material. stressing. As the first belt of this high-performance class it permits reverse flexing in multi-pulley drives and is therefore the ideal alternative to chain drives approximately half the strength of the parent material. pulsating drives in continuous service. 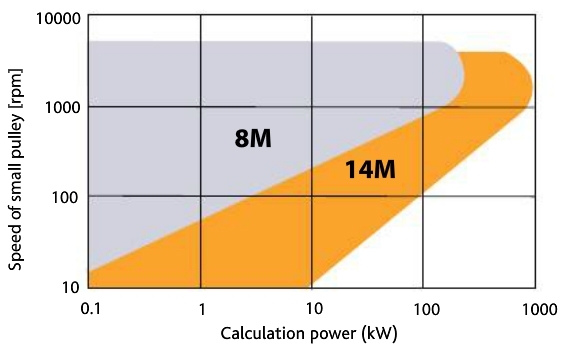 applications involving extreme dynamic load, at belt speeds of up to 40 m/s. CONTI® SYNCHROCHAIN high-performance timing belts transmit rotary motions at exact angles and a constant belt speed. The precise tooth match between belt and drive pulley ensures a high degree of synchronicity and reliably prevents belt ratcheting. The high tear resistance and high dynamic load carrying capacity of CONTI® SYNCHROCHAIN high-performance belts allow for synchronous drives even where space is at a premium. 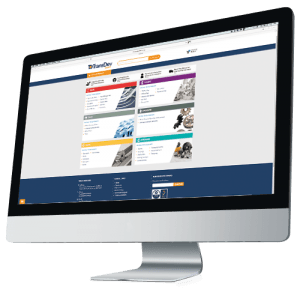 This establishes ideal conditions for the design of economically compact, lightweight drives. CONTI® SYNCHROCHAIN high-performance belts are maintenance-free. No lubricating or re-tightening is required. Their construction and the materials used ensure a constant belt tension. The optimized sectional match between timing belt and pulley and a belt construction with a multiply treated polyamide fabric, plus a dramatic reduction in the required timing belt width that using CONTI® SYNCHROCHAIN high-performance timing belts afford, all make for considerably less noise, even at high belt speeds. The optimized sectional match between timing belt and pulley and a belt construction with a multiply treated polyamide fabric, plus a dramatic reduction in the required timing belt width that using CONTI® SYNCHROCHAIN highperformance timing belts afford, all make for considerably less noise, even at high belt speeds. The available metric pitches are 8M and 14M.